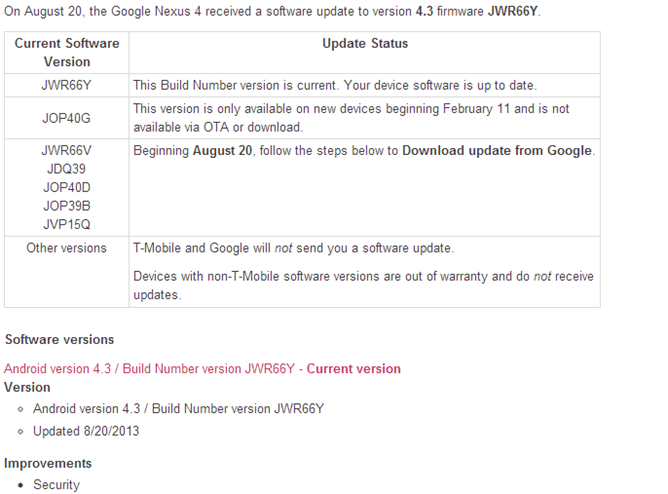 A small OTA update looks to be headed out to the Nexus 4 today, courtesy of an update document posted on T-Mobile's support page for the device. The build number is JWR66Y, which is obviously a very, very incremental bump from the previous build JWR66V. And the changelog matches up with such an assessment, as it includes but one item: "Security." That's nice and specific. We have to assume this update will be headed to all Play Store Nexus 4 devices as well, not merely T-Mobile's, as the two are actually one and the same. This does not appear to be the big 4.3.1 bug fix release that will inevitably come at some point, but merely a small security patch likely intended to fix some relatively newly-discovered exploits in Android. That said, we've not personally downloaded the OTA, so who knows what could be hiding in there? 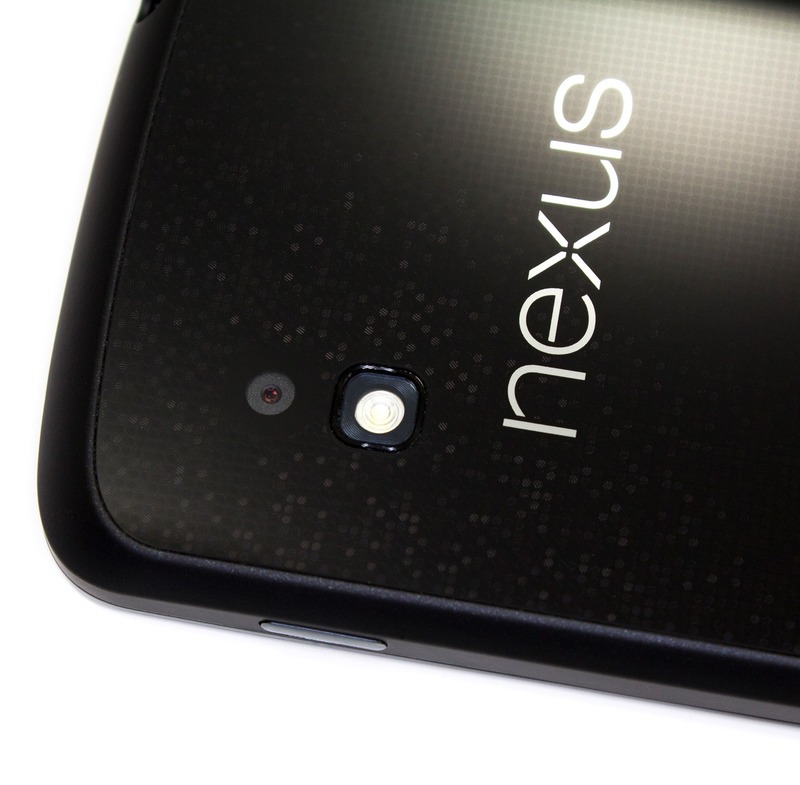 If you've received the JWR66Y OTA on your Play Store or otherwise non-T-Mobile Nexus 4, let us know in the comments.